You are here: Home / Travel / Washington State Trivia Printable for Kids – Road Trip Fun! 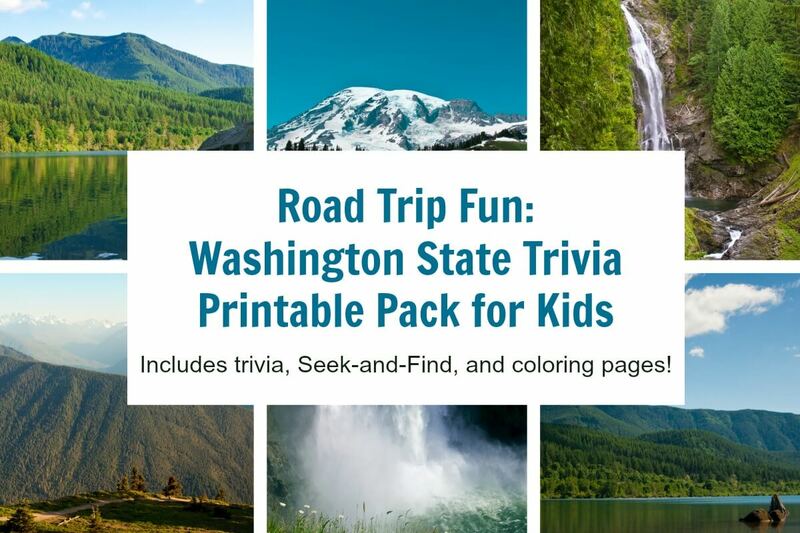 Washington State Trivia Printable for Kids – Road Trip Fun! Take this fun Washington State trivia printable with you while you visit and travel around the Evergreen State. 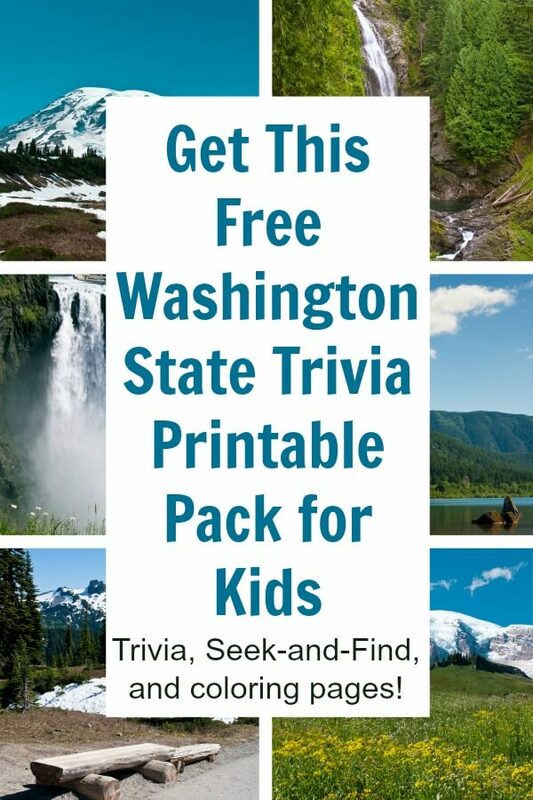 Included in this free trivia pack are fun facts about Washington state, a seek-and-find game, and two coloring pages. Included in the state trivia pack are the following fun facts about the state of Washington. Each state fact is on a card of its own in the printable. Washington is the only state in the US to be named after a president. It produces more apples than any other state. Washington has more glaciers than all other contiguous states (more than 47 states COMBINED)! It has the only rain forest in the continental United States. The state gem of Washington is petrified wood (wood which is so old it has turned to stone). Petrified wood is actually a fossil. Although known for apples, Washington produces the most raspberries, pears, cherries, and Concord grapes in the United States. Washington has 4 of the 5 longest bridges in the world. The world. It is nicknamed the evergreen state for the trees and Seattle is nicknamed the Emerald City because it’s surrounded by so much green. Seattle is home to the first revolving restaurant, a restaurant that spins around while you eat your meal! Washington is home to the giant Pacific octopus who can have an arm span of 20 feet! They are nocturnal and use their 200 suckers (on each of their 8 arms) to hunt clams and squid. We’re all about learning through doing here at Ruffles and Rain Boots. One of the ways we love to reinforce education is through crafts. Below you’ll find a few great Washington apple crafts for kids. 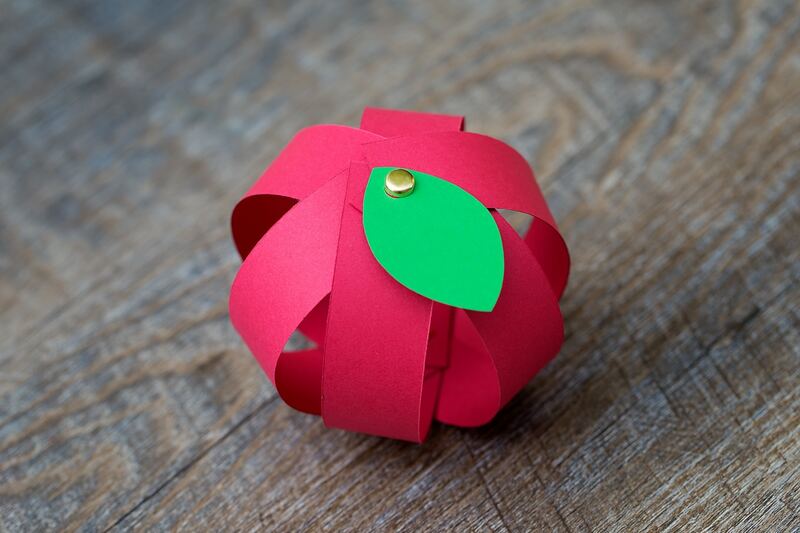 This adorable paper apple craft comes with a printable template. Don’t you just love that? My daughter really enjoyed this one (she got to use the scrapbook paper cutter). Oh. My. Word. 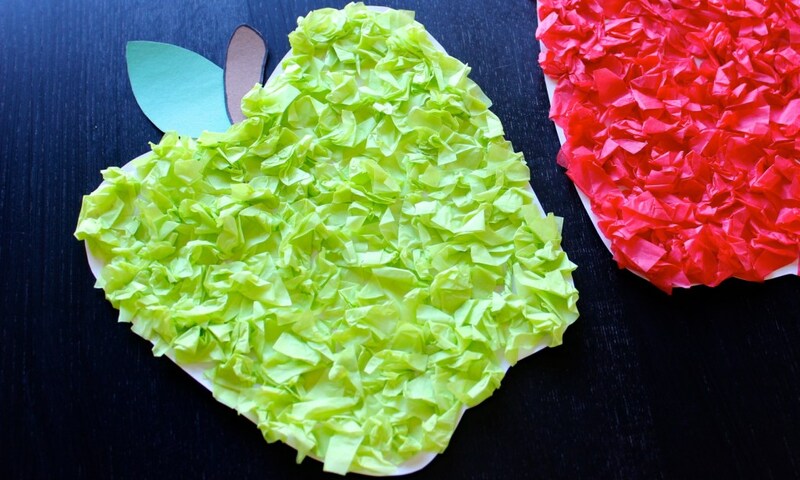 We are setting up this tissue paper apple craft for just before Spring break. I’m going to use a small paper plate because I have them on hand. 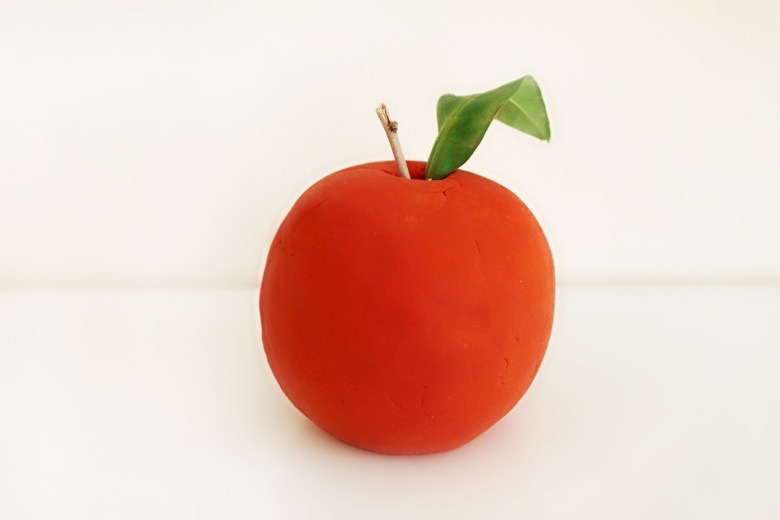 Make up a batch of this simple caramel apple playdough. Mmmm, can’t you just smell it? 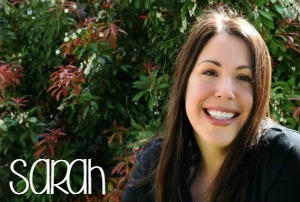 If you’re looking for more, check out this great list of Washington state crafts for kids. Some of the artwork featured in this pack is from the amazingly talented Phillip Martin. After you grab your Washington state trivia printable, let me know what your little one’s favorite fun fact and crafts were. Mine LOVES the seek and find!